Mr. Abram J. ‘Abe’ Friesen of Swift Current, Saskatchewan, passed away at the Red Deer Regional Hospital Centre on Wednesday, November 12, 2014 at the age of 85 years. Abe was born on January 21, 1929 at Scheinfelt, Saskatchewan and grew up on the farm in this small village. After Abe married, he and Anne moved to Swift Current, Saskatchewan and through his employment some years later, he accepted an opportunity to relocate to Abbotsford, British Columbia. Throughout his life, Abe worked a variety of occupations, including mechanic, tire store manager, furniture store owner as well as a realtor, for which he received some Sales Awards. In 1994, he and his wife, Anne retired in Kelowna, British Columbia where they lived up until June of 2014, when the couple moved to Red Deer. Abe’s greatest lifetime achievement was that he was an honorable family man who trusted in the Lord to see him through anything. Abe will be lovingly remembered by his wife, Anne; three sons, Milton (Dusty) Friesen and Randal Friesen, all of Red Deer and Richard (Kelley) Friesen of Maple Ridge, British Columbia; four grandchildren, Janice, Jason (Sharon), Michael (Nina) and Courtney (Greg) and his two great grandchildren, Angel and Cherish. He will also be sadly missed by his brothers, Peter (Sarah) Friesen of Saskatchewan and Isaac (Esther) Friesen of British Columbia and his sisters, Helen Kehler and Evelyn (Abe) Friesen. Abe was predeceased by his parents, Jacob and Mary Friesen, two infant sons, brothers, John and Jacob Friesen, sisters, Anna Friesen, Mary Kehler and Tina Friesen; as well as his sister-in-law, Margaret Friesen and brothers-in-law, John, Ike, Cornelius and Henry. 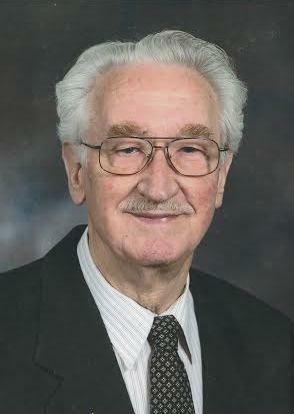 A Funeral Service was held at Mount Calvary Lutheran Church in Red Deer, Alberta on Monday, November 17, 2014, followed by Interment at the Alto-Reste Cemetery, Red Deer, Alberta. If desired, Memorial Donations in Abe’s honor may be made directly to the Alzheimer’s Society at www.alzheimer.ab.ca. Condolences may be sent or viewed at www.parklandfuneralhome.com. Arrangements in care of Ashley Paton, Funeral Director at Parkland Funeral Home and Crematorium, 6287 – 67 A Street (Taylor Drive), Red Deer. 403.340.4040.